The impressive Bamboo Car Park at the Slotervaart Medical Center in Amsterdam is the second of its kind but the largest we have built up until now. The multi-storey car park has 5 levels, a total surface area of 3200 m2 and can currently accommodate nearly 1200 cars. In coming years the project will be further expanded with additional and similar structures. Guadua was the material of choice for exterior wall cladding as the architects aimed to built a dynamic parking garage with natural and sustainable elements. Through the fan-like positioning of the bamboo poles, a dynamic is created where the facade seems transparent or closed depending on the angle it is viewed from. The ground floor was left “naked” to generate a floating effect and to eliminate the perception of a massive, tall building. Bamboo plants surrounding the garage present a green oasis in a city that is otherwise dominated by concrete buildings. All bamboo poles were carefully cured against insect infestation and rot, and were impregnated with a fire retardant treatment. Special stainless steel clamps were developed to install the round poles against the garage’s steel frame. The client has chosen to leave all bamboo poles uncoated. As a result, bamboo will naturally weather and become greyish-white in color over time. An additional effect of not maintaining bamboo poles for exterior use is a reduced durability and life span. Although we advised against it, it will be an interesting experiment to monitor the natural durability of bamboo in full exposure of sun and rain. An interesting project. 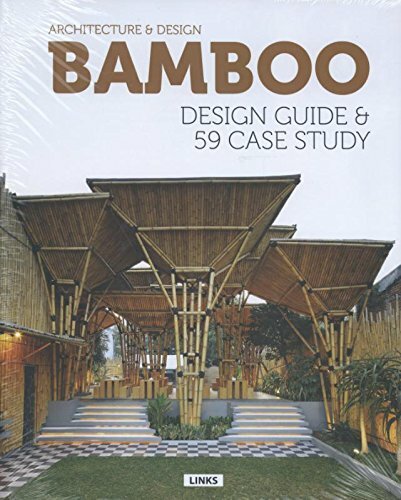 I have seen several projects like this and wonder if they help improve the image of bamboo. It will only be a few months before the poles look old and worn out. 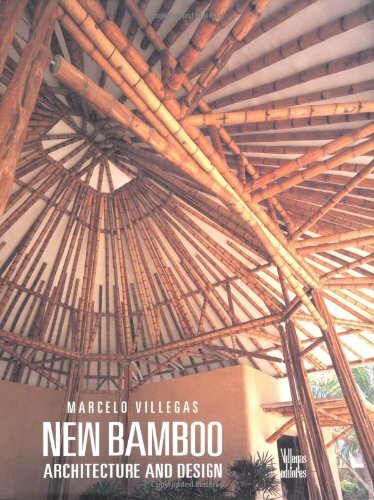 A greater understanding of the strengths and weaknesses of bamboo is necessary. Designers seem intent on aesthetics, rather than being practical. There are plenty of impressive buildings, but they are beyond the reach of all but the very rich. 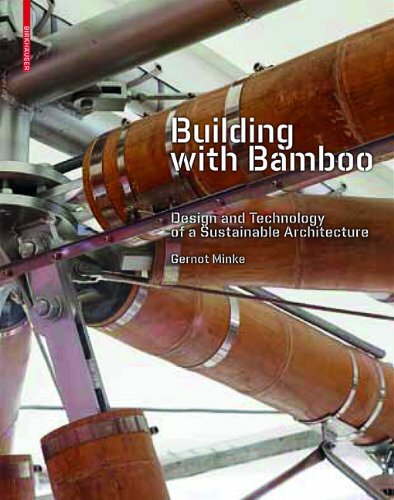 Hopefully we will see more bamboo used structurally in mid-level buildings, where the emphasis is on function and practicalities.